Here is a quick painting I did in one of my classes. 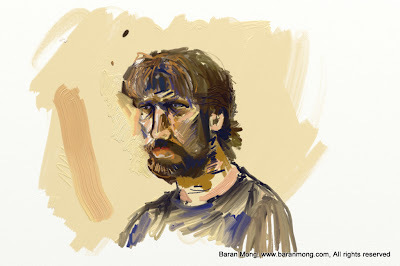 It is a quick study of my second year animation prof.
Looks like Brian Lemay even back then he still had the beard I see. Good job and also I love your life drawings they're incredible.